To meet the user demand for an ever-increasing mobile-cloud computing performance for resource-intensive mobile applications, we propose a new service architecture called Acceleration as a Service (AXaaS). We formulate AXaaS based on the observation that most resource-intensive applications, such as real-time face-recognition and augmented reality, have similar resource-demand characteristics: a vast majority of the program execution time is spent on a limited set of library calls, such as Generalized Matrix-Multiply operations (GEMM), or FFT. Our AXaaS model suggests accelerating only these operations by the Telecom Service Providers (TSP). We envision the TSP offering this service through a monthly computational service charge, much like their existing monthly bandwidth charge. We demonstrate the technological and business feasibility of AXaaS on a proof-of-concept real-time face recognition application. We elaborate on the consumer, developer, and the TSP view of this model. Our results confirm AXaaS as a novel and viable business model. Consumer use of “smart” devices is rapidly increasing due to affordability and increasing wide area network (WAN) performance (Emarketer, 2014). As the capabilities of smart phones expand parallel to the improvement in the WAN performance, so do consumers’ expectations for resource-intensive mobile applications. However, mobile devices are ill-suited to execute most these applications due to their hardware limitations. Computational offloading offers a way to augment mobile computation power, but it introduces a communication latency, potentially weakening or negating its advantages. 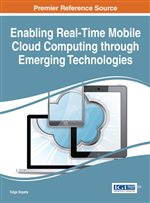 Mobile-cloud computing expands the utility of mobile devices by enhancing the apparent performance of their applications. Offloading data storage and processing from mobile devices to the cloud allows a mobile device to appear more powerful than it really is (Chen, Ogata, & Horikawa, 2012; Soyata, Ba, Heinzelman, Kwon, & Shi, 2013; Cuervo, et al., 2010; Mei, Shimek, Wang, Chandra, & Weissman, 2011; Chun, Ihm, Maniatis, Naik, & Patti, 2011). Although intensive processes are not actually being handled by the device, the requisite simplicity of the user interface effectively renders the offloading routines as transparent, leading to increasing expectations for performance by consumers, who are by now, quite used to experiencing steady improvements as the norm. An emerging class of mobile applications such as real-time face recognition, linguistic processing/translation and augmented reality (Keller, 2011; Kovachev, D., Cao, Y., & Klamma, R., 2013; Soyata T., Muraleedharan, Funai, Kwon, & Heinzelman, 2012) depend on computationally intensive methods, far surpassing the capabilities of mobile devices. Furthermore, performance improvement potential of these applications due to offloading is limited because of the added communication delays for transporting the code and data during offloading. To enable these applications, solutions based on an intermediary cloudlet device have been proposed to accelerate the computation partially at the source before it reaches the cloud (Kwon, et al., 2014; Verbelen, Simoens, DeTurck, & Dhoedt, 2012; Soyata T., et al., 2012; Satyanarayanan, Bahl, Caceres, & Davies, 2009). These techniques rely on an expensive cloudlet that has substantial computational power. Even if a mobile user makes an investment in such a cloudlet, continuous upgrades will be necessary to keep up with the increasing computational demand from evolving applications.